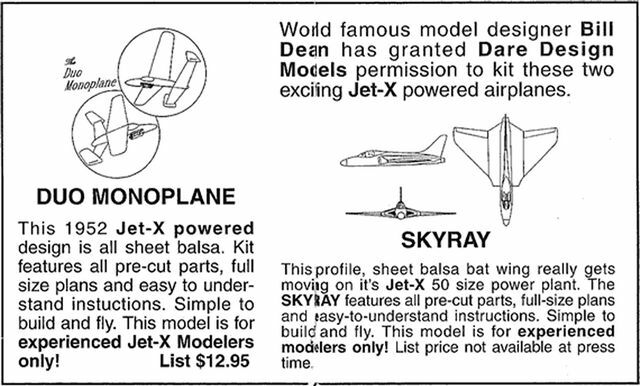 My Bill Dean 1952 Duo Monoplane before paint as built from the plan given to me by André Bird . 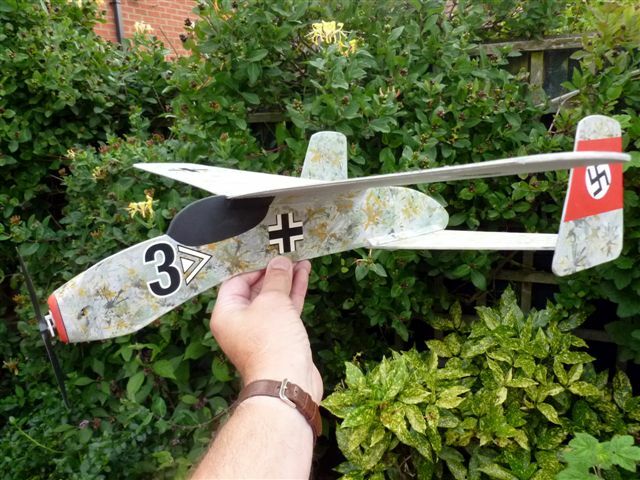 This model comes out at 66g auw flying with the proposed 200mA single lipo and an eRC Micro Stik £6.50 pager/gearbox prop combi that flies my orange Mercurian Mite so well at Ferry. 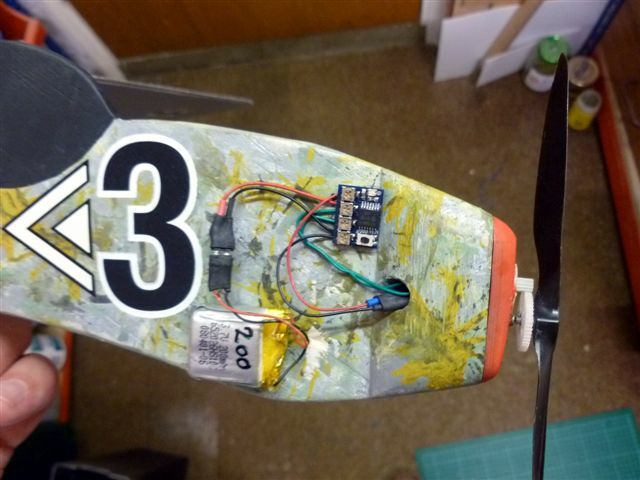 This model has an amazing glide with all that surface area , a real floater. 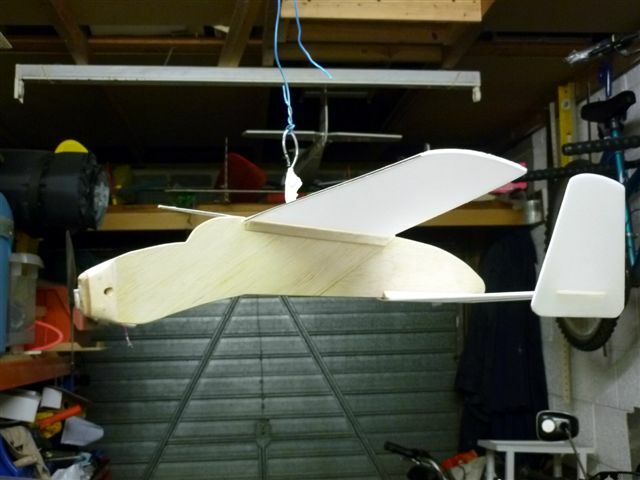 Construction is 3 mm depron wings , tail and fins, 1/8th balsa fusleage and a bit of carbon strip for added stiffness on the underbody. 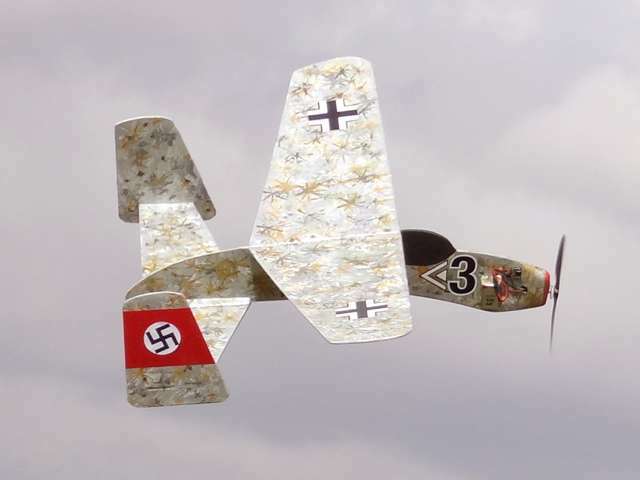 Those fins are just crying out for lovely Luftwaffe '46 Swastikas! 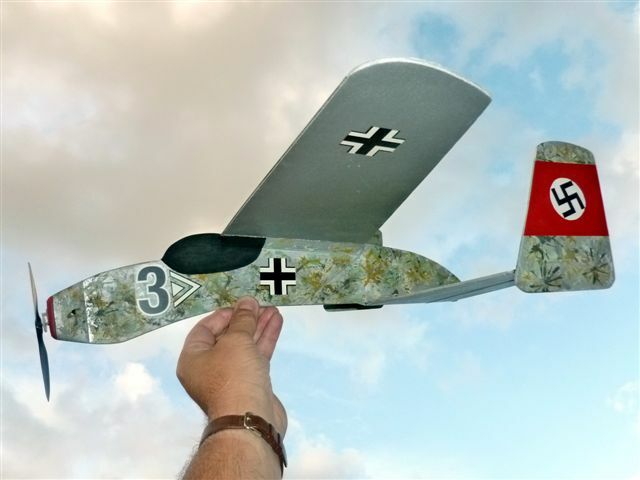 Now decorated as a "Geist Jäger- - Luftwaffe '46 version". 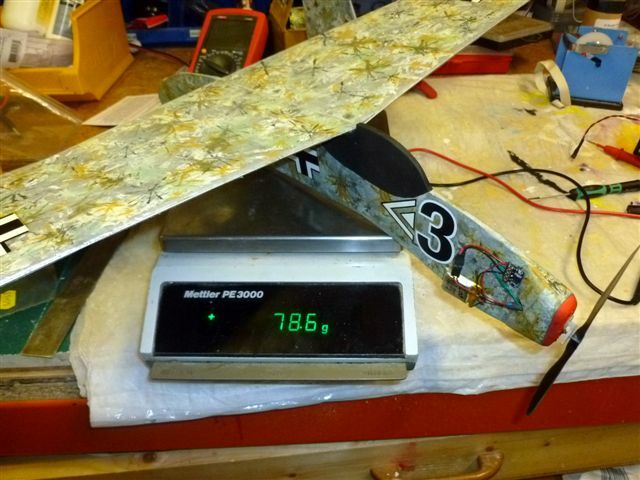 Just need to wire up a zombie controller and 200mA lipo and give it a proper test fly when the weather calms down.... 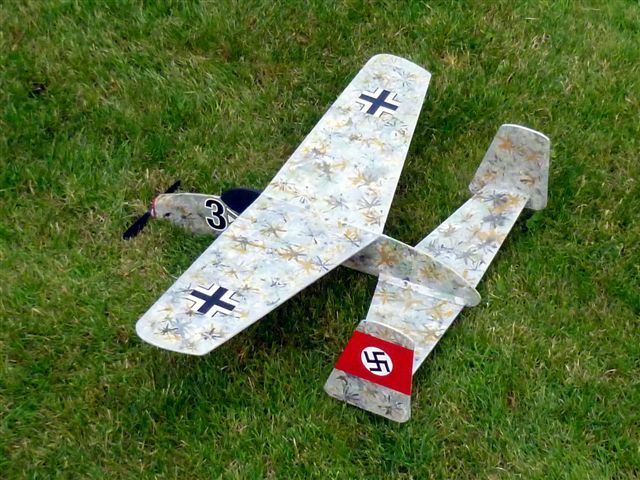 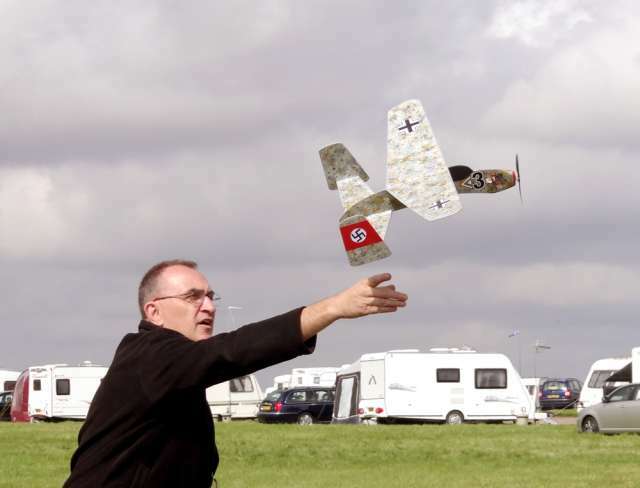 This is a real floater..
My Luftwaffe '46 Geist Jäger (aka - Bill Dean 1952 Duo Monoplane ) has just flown magnificently over the neighbour's six foot fence on 2 seconds of Zombie timer power! 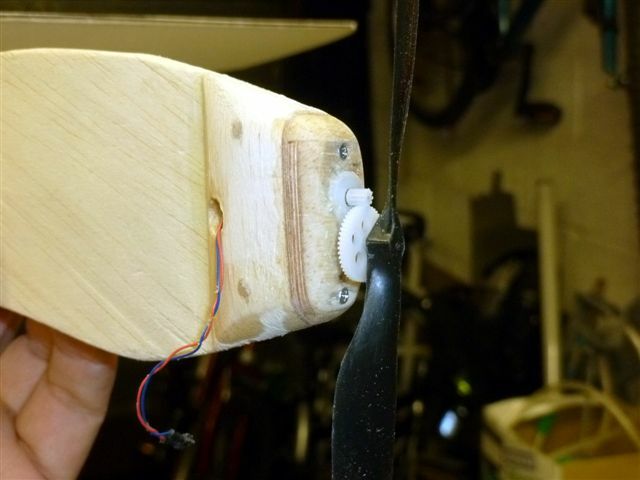 These are the same motor/ prop parts that a fly my orange Mercurian Mite so well at Ferry.